Over the past ten years Atzaró has become in many ways the very heart of Ibiza. IbiCASA is delighted to have had the opportunity to find out more about this very special place by talking with Victor Guasch, who was instrumental in its creation. The name ATZARÓ conjures up a vision of graceful elegance nestled within the natural splendor of endless orange groves. This is a place where interesting people from all over the world come to enjoy themselves, and it is also a cultural center that gives the artists and designers of Ibiza a wonderful venue to display their talents. Four years ago Atzaró began their commitment to healthy living when Healing Ibiza held their first natural healing event there. This year Atzaró is expanding their support of alternative lifestyles by hosting The Ibiza Spirit Festival on Sunday, October 5, 2014. At this inspirational event the people of Ibiza will gather together for a joyous celebration of how the special energy of Ibiza can open people’s hearts and minds to new ways of living. Atzaró has evolved in many ways since it first opened its doors to the public ten years ago, but it’s story goes back much further than that. This bountiful property comprising over 100,000 m2 has been inhabited and farmed by the Guasch family for many generations. Victor Guasch, the manager of Atzaró, was born in the finca of his grandparents which today is the center of the hotel. Victor grew up here on Ibiza, went to university in Barcelona and then on to graduate school in Brussels. Upon earning his MBA degree in economics he began working for the European Union as a member of its African legations in Equatorial Guinea and Zaire. He then moved on to the Spanish foreign service and was stationed for four years in the Philippines, and a further four years in Tunisia. He had established himself as an experienced international advisor… but was starting to hear the call of the island of his birth. At the end of the 90’s Victor and his family were deciding what to do with the land and house of his late grandparents… and a vision was beginning to emerge. They wanted to create something that would preserve the soul of Ibiza’s countryside while maintaining the island’s multicultural heritage. Victor’s international experience helped to steer this vision in a direction that was a fusion of styles – the natural beauty of Ibiza blended with the graceful ambience of Asia. 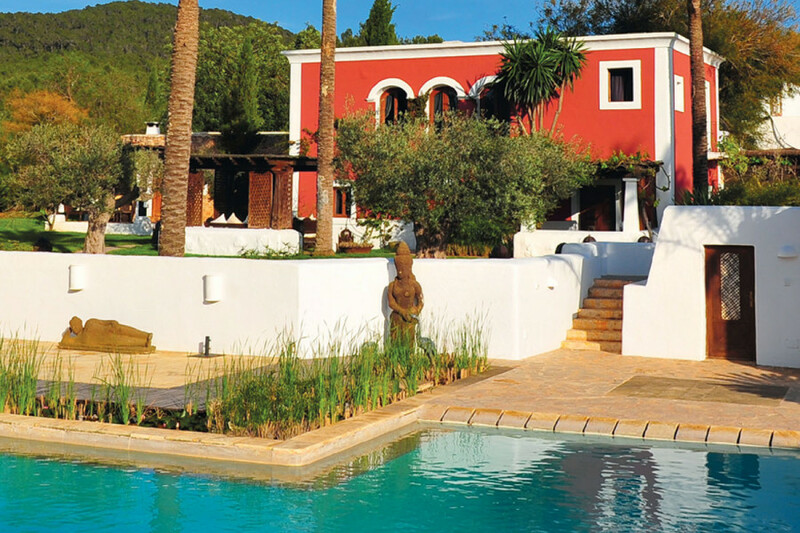 This would be a place where people could experience the special feeling of the countryside in a setting that was luxurious and exotic… yet retained the charm of old Ibiza. Working together with Victor’s partner Philip Gonda, the family turned this inspiration into a reality, and by 2001 the construction of Atzaró had begun. Entering the grounds you are immediately taken in by the subtle touches of natural elegance, and the attention to detail in every corner. This same sense of style graces the rooms, the restaurants, the chill out area and the magnificent gardens with their luxurious Balinese beds. Looking down across the expanse of the long reflecting pool you see the lovely pagoda that frames the entrance to Atzaró’s enchanting Spa. Once again the design seamlessly blends the natural beauty of Ibiza with the exotic feeling of Bali. This year, in addition to offering massage, facials, sauna, hammam and gym, you can now join the Atzaró Fitness Club. This new program meets every morning and includes Yoga, Pilates, aerobics and strength training. The classes are free for hotel guests and are open to the general public at a reasonable cost. In keeping with this new healthy theme, the Veranda Restaurant has created nutritious breakfast and lunch menus featuring locally sourced seasonal products along with delicious produce from Atzaró’s own natural gardens.